Sebastien Buemi was coy in his response as to whether he is on the shortlist for Toro Rosso in 2019. Buemi drove for Toro Rosso between 2009 and 2011 before being dropped ahead of the 2012 season. The 29-year-old has since gone on to be a World Endurance and Formula E champion, and also won the 24 Hours of Le Mans alongside Fernando Alonso and Kazuki Nakajima in 2018. Buemi is also still on the books at Red Bull in a reserve role and was recently spotted having a seat fit, prompting rumours of a potential return. But Buemi has said he is only focused on his current responsibilities. 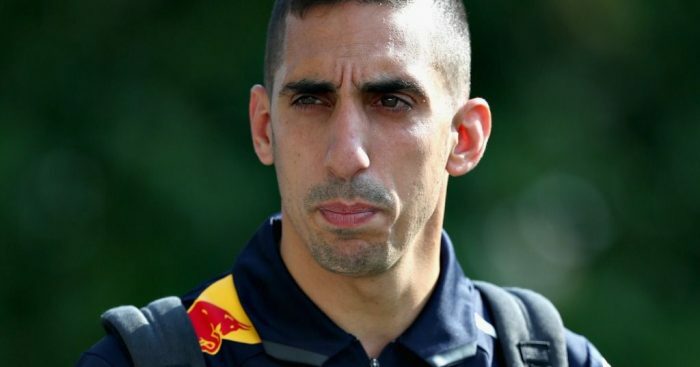 “I’m the reserve driver for Red Bull and Toro Rosso,” Buemi told Sky Sports F1. “That is why I am here this weekend [in Singapore]. Asked about his recent seat fit with Toro Rosso, he added: “I’m just doing what they asked me to do and they wanted me to have a seat fit. “Of course I need to have a seat just in case something happens to one of the other drivers and that is all I can say so far. Buemi was then quizzed whether he has any FP1 outings lined up with Toro Rosso ahead of a possible return. One driver definitely not in contention at Toro Rosso is Mick Schumacher, with Dr Helmut Marko saying he is not a target despite his sudden surge up the European F3 leaderboard.